Psoriasis vulgaris, which is commonly referred to as plaque psoriasis, is the most common form of psoriasis. Between 85% and 90% of people with psoriasis experience this form. If you are affected by plaque psoriasis, it can be helpful to understand related medical terms so you can stay informed about your condition. Plaque: When referring to your skin, plaque is typically an inflamed area covered with white, silvery, scaly skin. Plaque is usually found on your elbows, knees, scalp, and back. Epidermis: This refers to the outer layer of cells that cover an organism, or the skin. If you have plaque psoriasis, this is the organ that will be most affected by your condition. Lesion: Medically defined, a lesion is a region in an organ or tissue that has suffered damage through injury or disease, such as a wound, ulcer, abscess, or tumor. In reference to plaque psoriasis, lesions are the areas of your skin that are affected by the disease. These lesions will take the form of raised, red areas covered in dead skin cells that might be itchy or uncomfortable. Inflammation: This is a word that is used a lot in reference to injuries or infections, but for a condition like plaque psoriasis, inflammation simply means a part of the body that is reddened, swollen, hot, or painful. Chronic: This is a term referring to an illness or condition that persists for a long period of time or is constantly recurring. Unfortunately, psoriasis is something that will probably never completely go away. Sometimes your symptoms might go dormant for a while, but conditions such as cold, dry climates, infections, stress, dry skin, and taking certain medicines can cause them to come back at any time. Scaly: Since the literal definition of scaly means “covered in scales,” this term can be misleading. 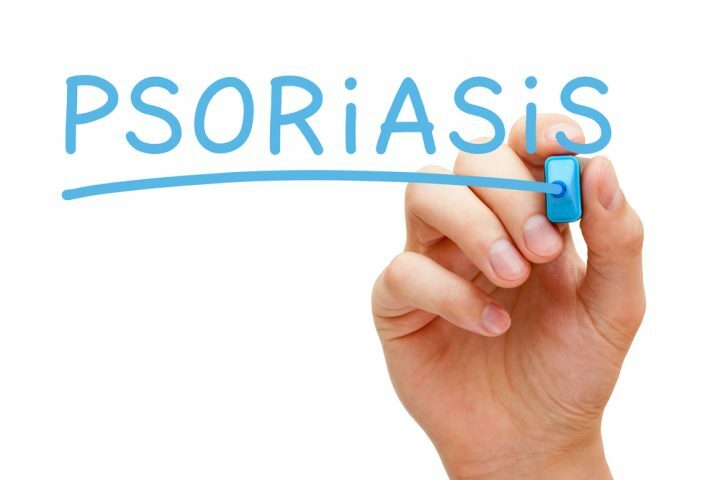 For someone suffering from plaque psoriasis, this term is referring to skin that is dry and flaking. Remission: Even though psoriasis is a chronic condition, there can be periods of time when your symptoms are minimal to nonexistent. This doesn’t mean you are cured, it just means your psoriasis is currently in remission. This can last for months or even years for some people. For others, psoriasis can work in a cyclical pattern, such as better in the summer and worse in the winter. Flare-up: The opposite of remission, a flare-up is when your psoriasis symptoms are particularly bad. This can also be referred to as an episode or an outbreak. It is believed by many doctors that a flare-up is usually triggered by an abnormality in the immune system, which can be a result of external stressors. Many people with psoriasis report that their flare-ups occur after recent emotional trauma. Certain medications like beta-blockers and ibuprofen can also sometimes cause a flare-up in your psoriasis. Other triggers are environmental, such as a change in the weather.